Iconic Suite: Positioned high on top of the ship, above the bridge, the two Iconic Suites offer sweeping, panoramic views from front to back. During our training seminar, someone remarked that the occupants of this suite would have a better view than the captain! 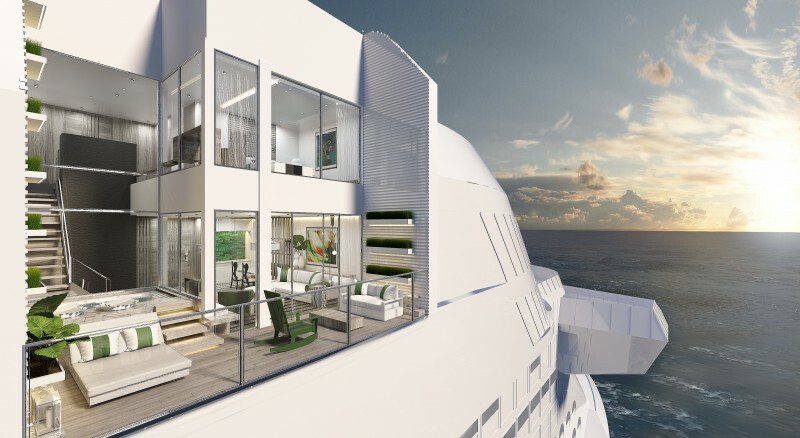 They’re the largest suites in the fleet; Each Iconic Suite is 1,892 square feet and that doesn’t include the 689 square feet of outdoor space! Iconic Suites boast two bedrooms (each with a king-sized bed) and two full bathrooms, featuring a full shower, whirlpool tub, and nothing but the best amenities. These suites can accommodate six. 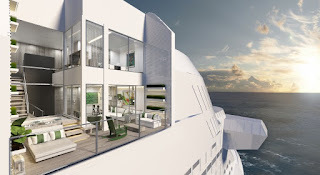 Edge Villas: There are six of these 950-square-foot two-story suites onboard the Celebrity Edge. They have one bedroom and two bathrooms and can accommodate four. The private terrace features a three-feet-deep plunge pool for a refreshing dip as well as a comfy day bed to soak in the sunshine. Edge Villas have direct access to The Retreat, an exclusive area for Suite Class guests. Penthouse Suite: The Penthouse Suites on the Celebrity Edge are perfect for families. They are two-bedroom, two bath units that sleep six. Again, the outdoor terrace is complete with dining and lounging areas as well as a private hot tub. 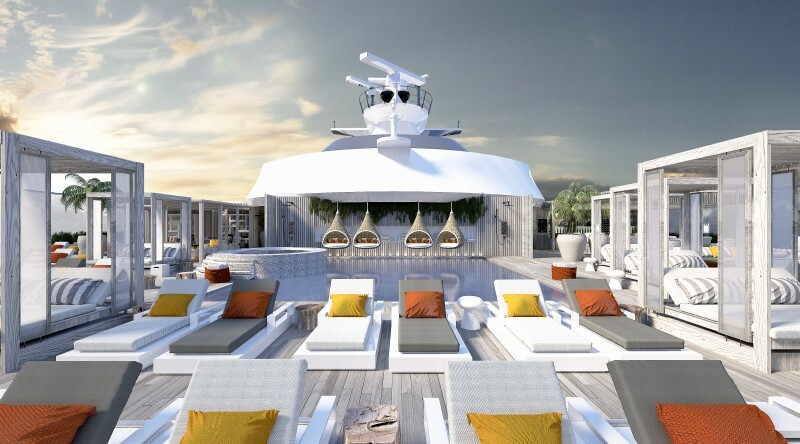 All Celebrity Edge suite guests are provided with personal butler service, as well as exclusive access to a suite lounge with a dedicated concierge. Suite guests also have their own private outdoor space, The Retreat. Here they can enjoy their own pool, pool bar, and an exclusive dining room, Luminae.